The grandiose statement was given by District Nine Candidate for the VIP, Mr Vincent O. Wheatley, during a ‘Youth Forum’ held on Virgin Gorda, on Monday, January 21, 2019, last. He spoke to afternoon classes and other training initiatives that can be explored. 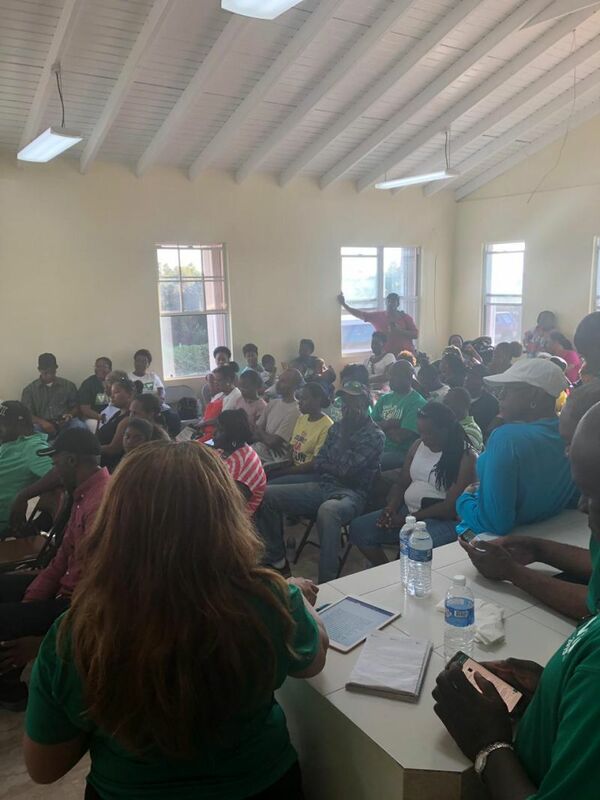 Meanwhile, Hon Fahie in his presentation to the youths gathered for the forum also sought to stress the level of importance that the party places on youth and youth affairs. 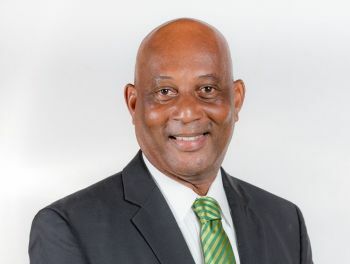 As such, the VIP Leader disclosed to the Virgin Gorda youths that there will be a special Office for Youth Affairs under the Premier’s Office and will never again be lost away in any Ministry. Testament to an inclusionary practice of governance, Hon Fahie disclosed that when the idea was first pitched to another group of young Virgin Islanders, he was told of the need for a Youth Advisory Council. The same, he said, obtains for women representation. 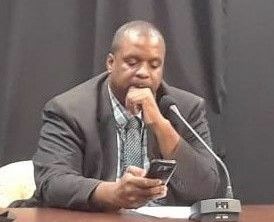 Hon Fahie told his male counterparts, “as a man you also need to recognize that you can’t speak for a woman,” and pointed to the fact the VIP Slate of Candidates consists of four women on our team. This, he said, was of critical importance to the young people of the Territory and spoke to community initiatives aimed at reducing the cost of housing. “Who owns your land owns your country, so if our people don’t own our land we don’t own the country,” Hon Fahie said. The VIP Youth Forum on Virgin Gorda, follows on a similar activity held the previous night Sunday, January 20, 2019, on Sister Island, Anegada. Mr Vincent doesn’t need to talk or campaign. He’s already elected as our district representative. In addition to housing allowance, what other allowances do elected members get? I’m not averse to elected members getting some reasonably priced allowances. However, there is one allowance that they get that needs to be rescinded, ie, housing allowance. Why do elected members get an allowance to live in their own homes? Do other government employees save for may be expat contract employees get a housing allowance? Getting this housing allowance may be one of the few things that government and opposition members sing from the same sanky on. What is the premise for giving up the allowances? Is it that they are not needed or to show that politicians are down with the lil man? Nonetheless, giving up the allowances is a positive personal image. I see VIP candidates have short memories uncle Ralphie once said hence the reason for the housing allowance is that his home is used more than his office...Is like the surest place one can meet you and Mr.Vincent stop try and make it seems like these Ministers get a whack of an allowance... An I sure bet if you get elected when it comes to you have to travel on government business you not going say don't book me first class book me a coach seat.. just stop the fooling of John public..
Is this a one man pledge or a party pledge . I know that Vincent will not take allowances . I'm seeing a set of greedy selfish people don't think they will agree with Vincent ...Why are the present present representatives still taking allowances in spite of the poor economic climate that they cause ? And who suppose to believe this? Can yall stop talking sweet just to get my vote and actually talk about something with substance along with action if you so happen to get in. Representatives giving their allowance to the people is nothing new. They give that and more, unlike others. The difference is that they do not advertise what they do. We are NOT asking you to build NEW roads, we REQUIRE you to MAINTAIN the PUBLIC roads in a decent way. It is a disgrace on the upkeep of the public roads throughout the Territory. People try to empower themselves all the time, we only wish that the Government will do its rightful duty in enabling residents to see what they spend their money on. Help the people who require help, but don't hinder those who try to improve their lots. If retainer walls are necessary, build or assist in building them - they are not just for beautification, right?